This Scotsman, who came to live at the end of the Selati Line as it was then, – having been abandoned in 1894 – loved this country he came to know. Then, overcoming the hardships of the bush he settled in, in spite of the opposition he encountered through petty in-fighting, jealousy, language barriers, exclusion from board meetings and low pay, he forded on for the cause he believed in. This warden’s days at the Kruger National Park would have been short lived, had he buckled under the strain of hatred and opposition he came against in his 44 years of tenure and I, for one, am pleased he never did. One action that best indicates this man’s character is simply illustrated in the following paragraph. 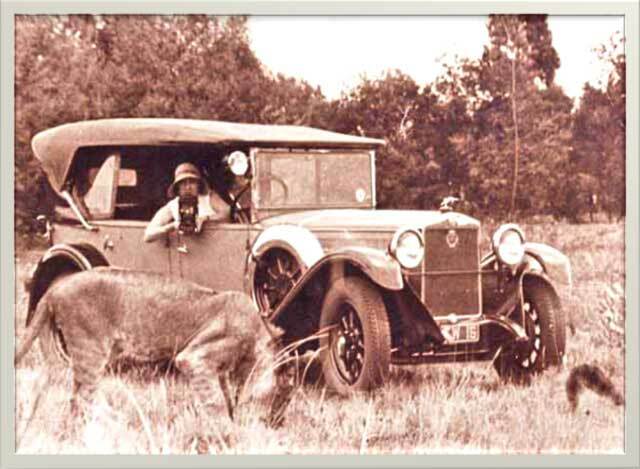 In his early days; around 1907, he gave up a large part of his own salary to get the much-needed ranger Healey and staff appointed for the 4,000 square miles of the park above the Sabi River – the Shingwedzi Game Reserve. The following account is a wonderful display of sacrifice for the cause of the Kruger Park and best said in the warden’s own words. “I held a probably unique position in having concluded twenty-five years of government service on a lesser salary than that which I had started…” “Healey was therefore duly gazetted early in 1908” Healey volunteered his life for freedom and died in 1916 fighting for his country – WWI 1914-18. That means the warden funded Healey’s appointment out of his own pocket. What a wonderful testimony for Healey’s friends and family, to say he was a ranger in the Kruger National Park before offering his life in the call of duty and all because of the warden’s sacrifice. To begin with, Stevenson-Hamilton after his appointment as Chief Warden, stayed at the Crocodile Bridge camp in an old disused mielie storeroom, made of corrugated iron and only later moved to Sabi Bridge, when Steinaecker’s horse was decommissioned and martial law was rescinded from the region. Sabi Bridge was then occupied by the military and members of Steinaecker’s Horse, preventing the warden from taking residence. Not until the end of the year, (1902) did Stevenson-Hamilton meet von Steinaecker for the first time, the latter having been in England for some five months, trying to get into the British Army. Steinaecker was decommissioned a short while after this meeting and the warden could now move to what was to be his new home, at the end of the Selati Line at Sabi Bridge. For some inexplicable reason, Steinaecker ordered all the buildings at Sabi Bridge to be demolished, hence the storeroom, large stables, and several other outbuildings were razed to the ground. All the stock and construction materials were loaded on the train, but due to a shortage of time, the blockhouse was spared, although instructions had been given to destroy this as well. 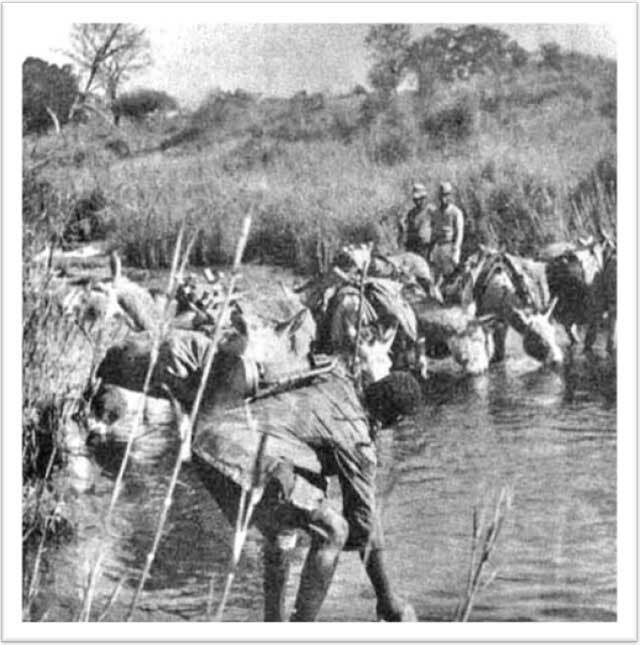 It was at this time the Selati Line became dubbed the rangers ‘private railway’ and it remained so for when the South African Railways would complete the line as far as Tzaneen, finally crossing the Selati River in 1912; – now called the Nxalati River – and then extending it a short while later on to Soekmekaar, joining the main Pretoria northern line to Rhodesia – Zimbabwe. Trains could then come from land-locked Rhodesia to Delagoa Bay port for trade. At this point, the Selati Line train service commenced in earnest and remained a single track until it was abolished in 1973. Abolished? Yes, it was obliterated, but not before it made an indelible stamp on the Lowveld forever. Sabi Bridge kept its name and remained so for 34 years until 1936, when it was renamed Skukuza by the Parks Board, after Stevenson-Hamilton’s native name. Tradition holds that it was a Chief of the Ngomane tribe who named Stevenson-Hamilton, ‘Skukuza’, which means – ‘he who makes things upside-down and inside-out’ – as a result of his no-nonsense clean-up policy towards the entire regions poaching. The Warden Doing His Rounds. Crocodiles You Said. Where? Now the Selati Line gets a new twist in the tale, being firstly in service to the Sabi Game Reserve and later extending its services to other major parts of the Lowveld, Bushveld area. How did this happen you may ask? You mean the extension of the Selati Line? Well, there was an overflow of money from the Transvaal Republic, some £2, 000, 000 in fact, that needed spending somewhere, so the Selati Line became the somewhere to spend some of it. The Transvaal was the only province not in debt at the time of the Union – somewhat of an irony from the 1877 British annexure. 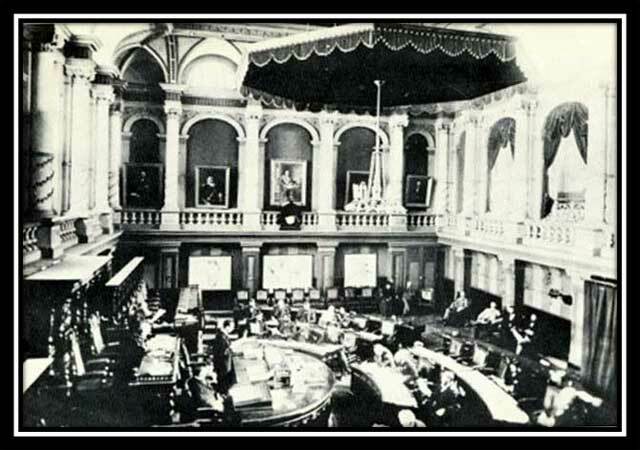 South Africa was being unified into four colonies to form the new Union of South Africa, – after the Anglo-Boer war – and the government of the Transvaal Republic was to be incorporated into the new South Africa in 1910 as one of the colonies. Game reserve you say? What game reserve? good thing. When the tsetse fly had not returned as expected, the game populations started to multiply. On closer observation by the Government, it became obvious that the game reserve region was well suited to agriculture and the idea of new settlements, was the order of the day – bad thing. So bye-bye game reserve, because as long as there was the tsetse-fly, they could keep the reserve, but now that the tsetse-fly was gone, the game reserve must be gone as well. Right? Well no. Now the people have a game reserve – good thing. Right? – Rinderpest was also finally eradicated worldwide by 2010. So, to prevent the surplus money in the treasury going to the Union in 1910, de-proclamation of the Game Reserve was touted by the railways for bigger profits and many in the government agreed. The drive was to make this entire region of the Transvaal Lowveld profitable in terms of the railways and so the money was allocated for extension and development of the Selati Line Railway. Now owned by the Union Railways and contracted out to Pauling & Co., work on the Sabi Bridge commenced immediately in 1909, while the line was extended to Tzaneen in 1912, and on 25 October 1912, the Sabi Bridge was officially opened. Pauling & Co brought in and used their own labour force and no locals or outsiders were employed. There developed a small siding at Sabi Bridge, although to Stevenson-Hamilton’s amazement and that of many others, the steam locomotive took on water at another siding, north across the Sabi River called Huhla, – still on the Selati Line – and built there by the Union Railways. And this is where all the post, rations and deliveries for the Sabi Bridge camp were subsequently offloaded in the middle of the veld, at all hours of the night only – where there was nothing more than a water tank. Many people thought the Union Railway, and later the S.A.R, had no intention of acknowledging this reserve anyway, thinking it would go away, amounting to nothing, so this kind of contempt became the order of the day. This was borne out many times over the years and here is an anecdote 10 years on, as described in the following statement from the warden’s own notes – abbreviated by me – with regard to the 1923 meeting at the Old Government Building, Pretoria, to indicate how much bad sentiment was going on about the reserve then. This must have been a very scary time for the warden and one can only imagine how he must have felt at such a time like this. And we neary lost the Kruger National Park forever.